Emir Magas. Image from Kavkaz Center. Russian security forces dealt a double blow to the al Qaeda-linked Caucasus Emirate during operations in the southern Russian republics late last week. Emir Magas, the military commander of the Caucasus Emirate, was captured and Yasir Amarat, a wanted terrorist commander from Jordan, was killed during raids by Russia’s Federal Security Service, or FSB. On June 9, the FSB captured Emir Magas, whose real name is Ali Taziyev, during a raid in the village of Malgobek in the Republic of Ingushetia. Kavkaz Center, a jihadist website that supports the Caucasus Emirate, confirmed Magas’ capture and noted his importance. Magas has been transferred to Moscow for interrogation. Magas “was appointed the Military Emir of Caucasian Mujahideen after the martyrdom of Shamil Basayev,” Kavkaz Center stated. Basayev is the former leader of the al Qaeda-linked terrorists in the North Caucasus and was killed in 2006. Magas was a longtime associate of Basayev and Ibn al Khattab, the Saudi who led al Qaeda’s foreign fighters in Chechnya up until his death at the hands of Russian security forces in 2002. Chechen President Ramzan Kadyrov described Magas as the most dangerous terrorist operating in the region. “In his cruelty and in terms of threat he posed to the peaceful population, Magas exceeds notorious terrorist leader Doku Umarov,” Kadyrov told RIA Novosti. 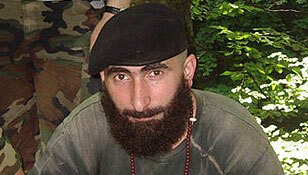 Umarov is the leader of the Caucasus Emirate. Magas has been involved with some of the most heinous terror attacks in the Caucusus, including the June 2004 raid against police, FSB, and border guard installations in Nazran, Ingushetia, that resulted in the deaths of 88 people. Magas is also said to have been involved in the raid on a school in Beslan, North Ossetia, that killed more than 300 people, including 186 children. Most recently, Magas has claimed the June 2009 assassination attempt against Ingush President Yunus Bek Yevkurov. In that attack, Yevkurov was severely wounded and two of his bodyguards were killed. One day after Magas’ capture, the FSB killed Yasir Amarat and eight other terrorists during raids in the mountainous district of Vedeno in Chechnya. Security forces found Amarat’s body in a grave on June 11. Also killed was a terrorist known as “Forest Lion” who had served as Amarat’s top aide. Amarat is said to have been born in Jordan and entered Chechnya years ago to battle the Russians. He served as a military commander in the republics of Chechnya and Dagestan and was responsible for attacks against security forces in the region. Amarat is the second foreign leader of the Caucasus Emirate killed in the region this year. On Feb. 2, the FSB killed Mokhmad Mohamad Shabban, who is better known as Saif Islam or the Sword of Islam, during a raid in a mountainous region in Dagestan. Shabban, who was from Egypt, was one of the founders of al Qaeda in the Caucasus. The FSB also scored a major victory against the Caucasus Emirate when, on March 2, its commandos killed Said Buryatsky and five other terrorists during a raid in Ingushetia. Buryatsky was the mufti, or religious leader, for the Caucasus Emirate, and has been described as Russia’s Osama bin Laden. Over the past two decades, al Qaeda has fought alongside Chechen rebels during two brutal wars against the Russians that are thought to have resulted in the deaths of more than 100,000 civilians and thousands of Russian soldiers and Chechen fighters. The bulk of the Chechen resistance was smashed after the Second Chechen War, but al Qaeda and allied Islamist groups continued to operate, and managed to radicalize many of the remaining nationalist rebels. Russian security forces, backed by local forces in the Caucasus, have had success in decapitating the top leadership of al Qaeda and radical Chechen forces. After killing Khattab in 2002, security forces eliminated his successors; Abu Walid al Ghamdi was killed in 2004, and Abu Hafs al Urdani was killed in 2006. Russian security forces also killed Saif al Islam al Masri, a member of al Qaeda’s shura and a chief financier, in 2002; and Muhammad bin Abdullah bin Saif al Tamimi (also known as Abu Omar Saif) in 2005. Tamimi served as second in command to Shamil Basayev, the military commander for the Islamic Army in the Caucasus. Basayev and much of his leadership cadre were killed by Russian security forces in 2006. After Basayev’s death in 2006, the Chechen and Caucasus jihadists united under the command of Doku Umarov, one of the last remaining original leaders of the Chechen rebellion and a close associate of al Qaeda. Prior to 2006, Umarov had denied having connections with al Qaeda and rejected terrorist attacks against civilians. But in 2006, Abu Hafs al Urduni announced that the Chechen jihad was being reorganized under the command of Doku Umarov after the death Basayev. By November 2007, Umarov had declared an Islamic emirate in the greater Caucasus region and named himself the emir, or leader. Russian security forces thought Umarov was killed during a raid in November 2009 that killed several of his close aides, but he has since resurfaced. But the insurgency in the Caucasus largely went dormant after Basayev’s death in 2006. In the spring of 2009, Umarov reignited the insurgency by launching a wave of suicide attacks in the Caucasus. In April 2009, Umarov revived the Riyad-us-Saliheen martyr brigade, which has spearheaded the assault. The Caucasus Emirate’s most recent high-profile suicide operations include: the double suicide attack in Moscow’s metro on March 29 (39 people killed); a double suicide attack that targeted police in the city of Kizlyar in Dagestan on March 31 (13 people killed); and a suicide attack at a concert in Starvopol on May 26 (seven killed). Umarov took credit for the Moscow Metro suicide attacks and vowed to conduct further strikes in Russia. Worth noting that there has been some reporting that the North Caucus region is one of the areas recently reported to be where US Spec Ops personnel are active in helping locals track jihadi militants. So there may indeed be an unseen US hand in the FSB’s recent successes in hunting down HVTs. I’m not thinking the Rooskies are all that worried about an ACLU lawsuit over waterboarding or any other roughneck interrogation techniques. Security guys who are surviving vets of the Chechen campaign have short fuses and I’m guessing Emir Magas has enjoyed better days on this Earth than he’s experiencing now. Very sad. Not. Because we ought to be looking to the demoralized, corrupt, and some say totalitarian Russian security services as a model for American behavior. I’ll let you cry for Emir Magas, Tyler. I just can’t find it in me. I am sure Amnesty International will get right on it. Just like they are for the missing American GI the Taliban captured. Not. Go right ahead and glow over the proud constitutional republic that is Vlad Putin’s Russia Arne. I’ll pass. Russian crackdowns generally lead to Chechen terrorists going on tour. They have a nasty habit of showing up on other Islamic battlefields when they’re on tour. It would be nice to think Tsar Putin’s Russia recognized and acted like we’re actually, if somewhat distastefully, on the same side. At least with regards this particular issue.